Photos from homes featured in Green Country Living magazine. A large porch wraps around the front corner of the rock cottage of La Ferme at Fern Mountain, owned by Trudy and B.P. Sudberry. 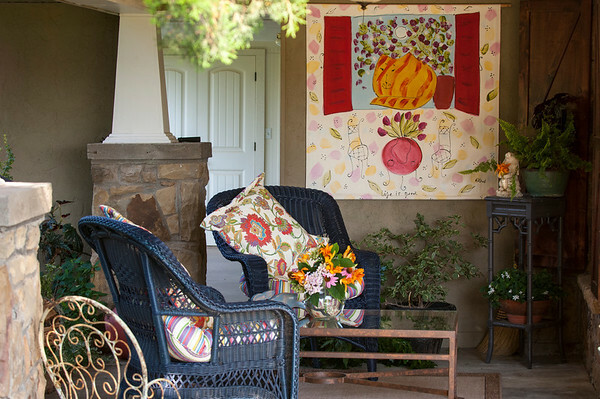 Trudy has decorated with painted wicker, colorful cushions and knotty alderwood shutters on the windows.